The Flying Musicians Association is accepting scholarship nominations from music directors for aspiring pilots who are juniors or seniors in high school and have a passion for music. The scholarship will take a student from "Day One through Solo," the association said. The group also is accepting applications for its internship program for the fall semester of 2017, and the winter and summer semesters of 2018. Pilots tired of squinting into the sun can apply a sheet of shaded material to the inside of their windscreens to help block the rays and increase situational awareness. The dark green, reusable 8.5-inch-by-11-inch sun shade adheres with surface friction. The Slap On Sun Visor is available from Sporty's Pilot Shop for $7.95. If there were such a thing as a Plane Spotter's knowledge exam, extra credit would surely be given to any test-taker who could identify at a quick glance a two-place composite airplane with a low forward wing with elevators attached and the main landing gear concealed inside the tips, a high rear wing, and a tailwheel. 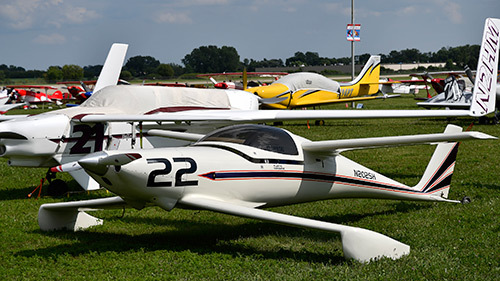 "Sort of a negative stagger biplane to stretch a point," says one description of the Quickie Q2, a homebuilt aircraft derived from the Quickie, a one-seat design from the drawing board of Burt Rutan. A pilot friend was bragging about logging night time during the day by flying over Madras, Oregon, during the total solar eclipse. Can such a flight be logged as night flight time? No. "Night" is defined in 14 CFR 1.1 as "the time between the end of evening civil twilight and the beginning of morning civil twilight." That means the sun must be below the horizon for some period of time. Because that was not the case during the total solar eclipse, no night time could have been logged.